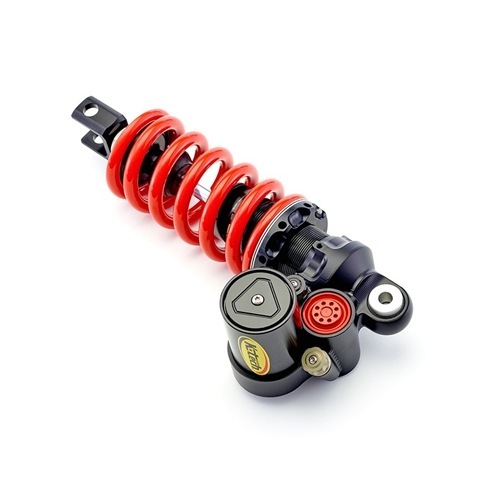 The K-Tech DDS "Lite" rear shock has been designed as an entry level product for the customer that demands a high level of performance at a competitive price. Sharing all the same high quality components as the DDS "Pro" version the DDS "Lite" performs to the same high level without the hydraulic spring preload adjustment or the "unique" Bypass Valve adjustment that is found on the "Pro" version. This shock can be upgraded to the "Pro" specification at a later date.